Have you ever wanted to record playing the piano or singing online Karaoke? Free Sound Recorder must be the right one for you to record live performances like voice, music or any other sound via your microphone. 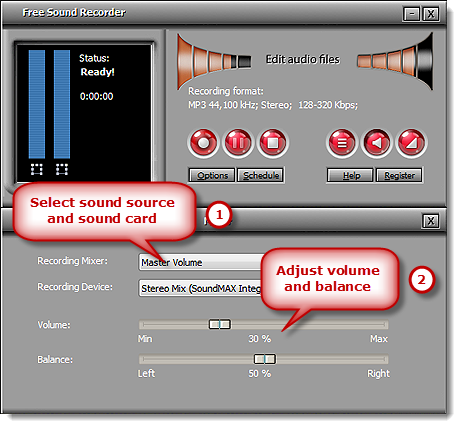 The program supports the record input/source from microphone with super high quality. 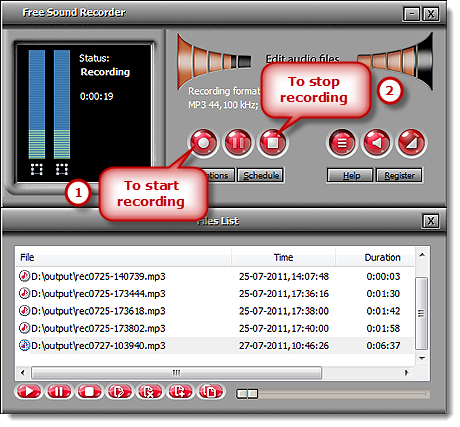 Launch Free Sound Recorder. 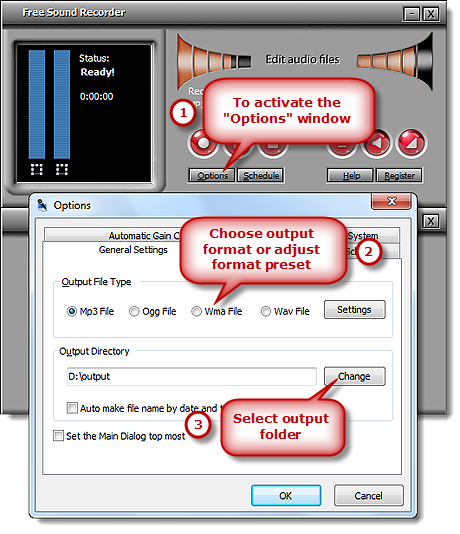 Connect a Mic to the Microphone input of the PC or connect the Line-Out output on an external sound system or PA to theLine-In or Aux input on the computer. You can go to our tutorial page of how to connect various devices including Mic to the computer for more info. Click “Show mixer window” button to choose “Mic Volume” from the “Recording Mixer” dropdown list. Then, select proper recording device from “Recording Device” dropdown menu. Adjust the volume and balance.